This gorgeous necklace is made with a large onyx druzy wrapped in luscious argentium silver which makes this focal just shout! 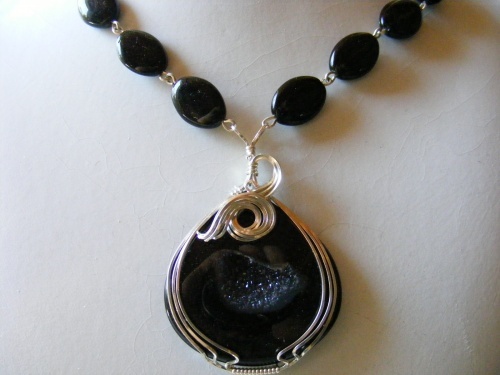 The clasp is Bali silver and has an onyx center. The necklace measures 18".